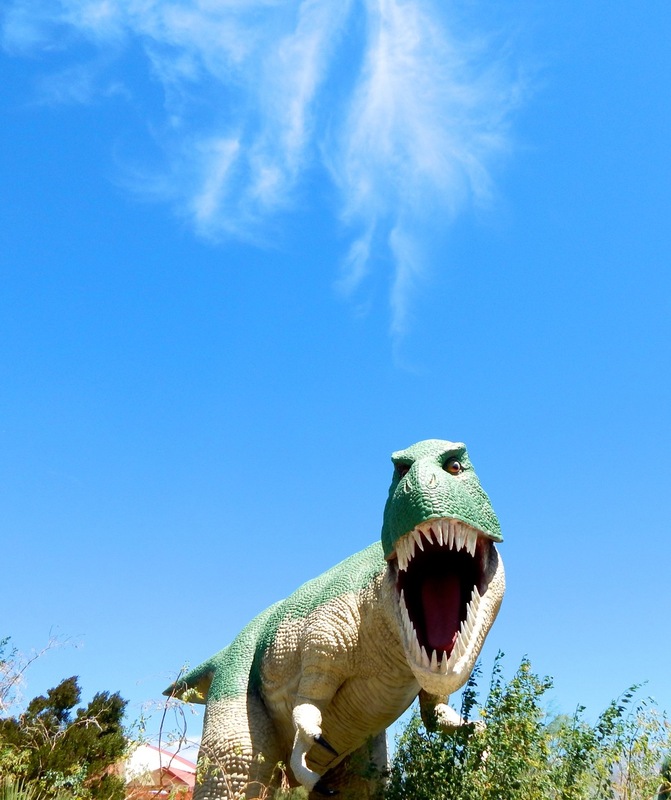 Today, the park is a dilapidated half-abandoned kitsch oasis in the heart of The Inland Empire. 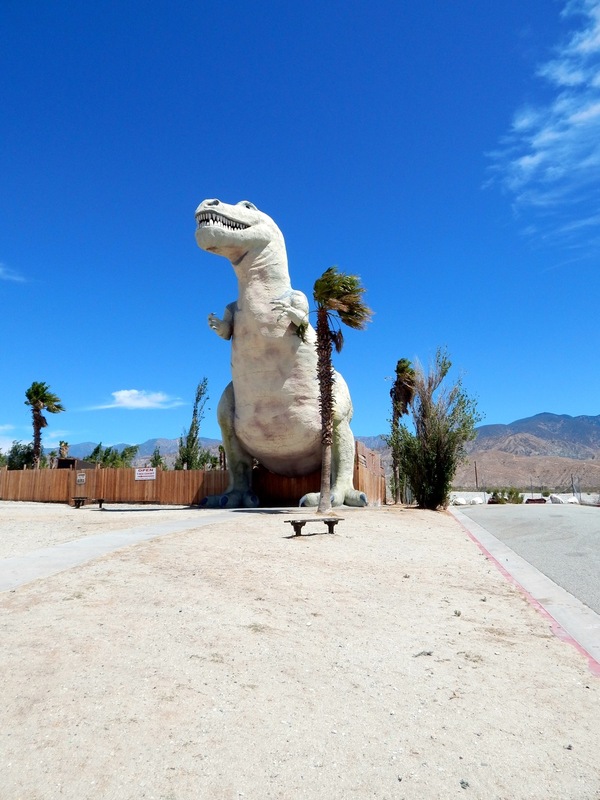 To get there you travel through the desert along the Interstate 10, America's southernmost transcontinental highway, a trucker's highway. 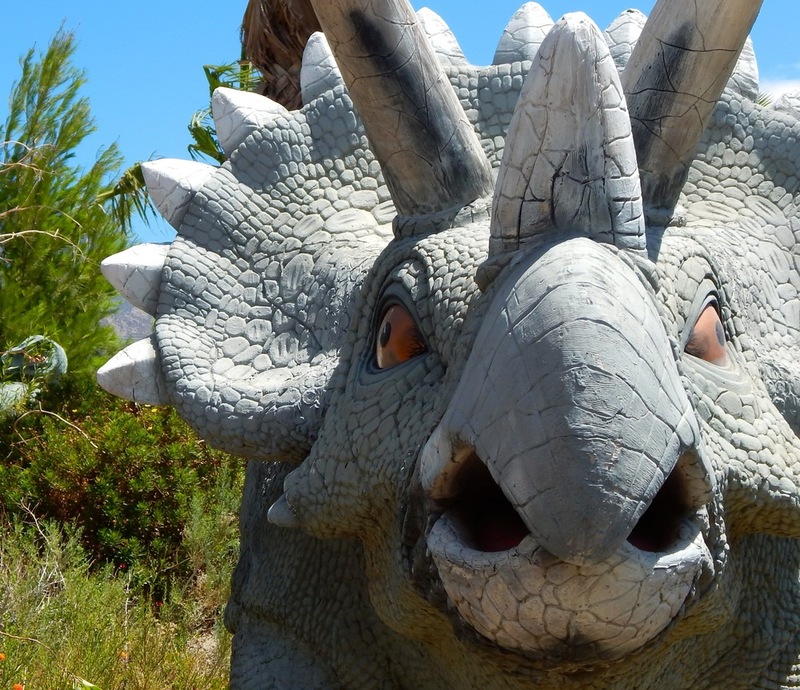 The collapsing fences around the parking lot, the lack of tourists (my boyfriend and I were the only visitors), and the lone teenager working the tiny gift-shop-come-ticketing-booth all lead to the conclusion that the Cazabon dinosaurs are not long for this world. 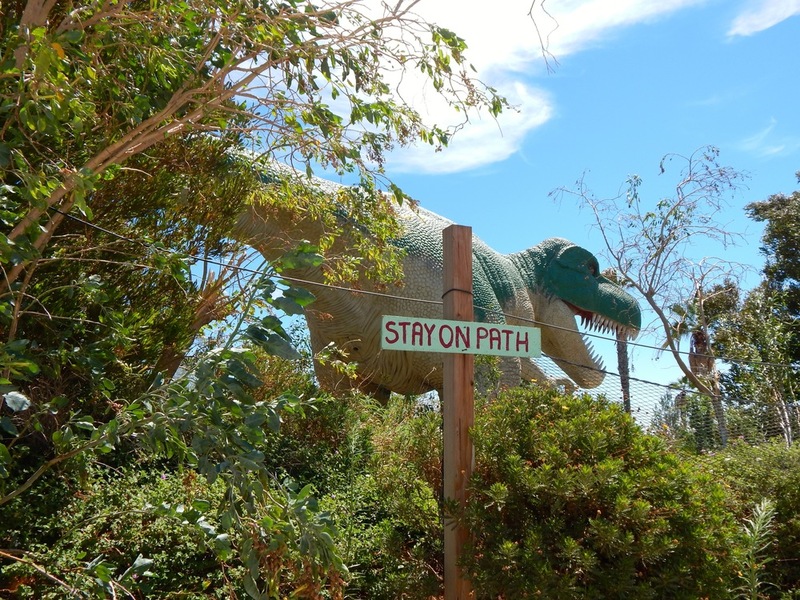 In eccentric contrast, the dinosaurs are situated on the outskirts of the Morongo Indian Reservation. In the distance, as there's no want for space in desert country, the nearest visible structures are the epic Morongo Casino (it’s the tallest building in The Inland Empire) and the Morongo Gas Station. The new and shiny tourist trap lives right alongside the broken-down tourist trap.